Are you facing charges for a drug crime that involves cocaine in Las Vegas or Laughlin, NV areas? If so, you need the help of our skilled Las Vegas cocaine possession lawyers. You should be prepared with a strong defense plan because crimes involving this narcotic tend to carry heavier penalties when compared to offenses that involve other drugs. 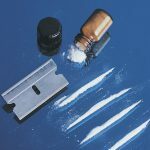 Cocaine is a Schedule II controlled substance, which means that it is highly susceptible to abuse; it has a high potential for serious physical and psychological dependence upon abuse of the drug; and it does have accepted medical use within the U.S., but there the restrictions for this type of use are severe. Drug offenses involving cocaine tend to be felonies, meaning that the defendant can end up serving time in prison if he or she is convicted. Do not face this situation alone even if it is your first run in with the law. Let our Las Vegas cocaine possession defense lawyers protect you. Regardless of the type of cocaine offense you are accused of, you can turn to my law firm for help defending yourself in the courtroom. Our Las Vegas cocaine possession lawyers have been handling criminal cases in this area since 1998. While I am currently a defense attorney, I have a decade of experience working as a prosecutor. Let me use my years of experience to assist you with your case! The penalties listed above are for first-time convictions. Subsequent convictions can lead to more severe sentencing. In some cases, the defendant may be eligible for probation, which could potentially result in the accused person avoiding a conviction altogether. I can evaluate your case at no charge. This allows me to review the facts concerning your criminal charges so I can help you determine the best defense strategies for your situation. We can discuss whether it is more beneficial for you to negotiate a plea deal that involves probation or lower sentencing, or if it makes the most sense to fully contest the charges through trial. Contact our Las Vegas Cocaine Possession Lawyers today. I offer free case evaluations to those facing criminal and DUI charges in Clark County, Nevada.